It happened in the 4000 block of Coconut Circle North in East Naples. 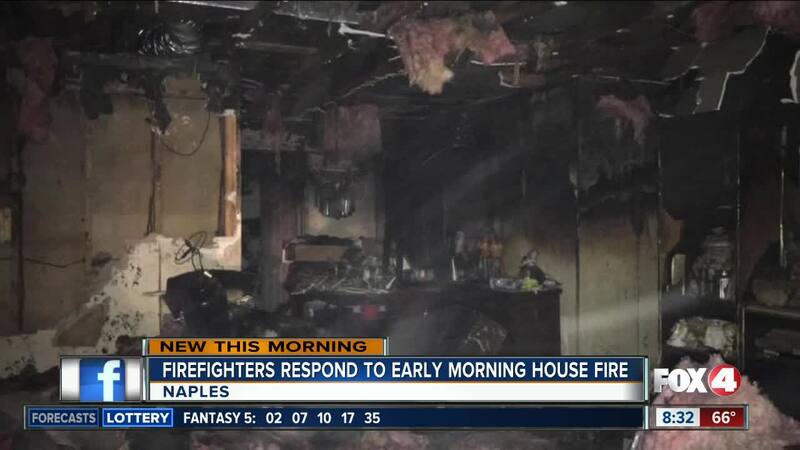 NAPLES, Fla. -- A Naples family is without a home after firefighters rescued them from an early morning fire. The Greater Naples Fire Rescue District says a family of three and their pet were able to escape the flames with no injuries. Firefighters say the home was heavily damaged.